With the arrest of two men last weekend, Flossmoor police say they may have solved a string of burglaries from unlocked parked cars. More than a dozen car burglaries were reported to Flossmoor police in the last two weeks. Seven burglaries were reported on Sept. 30 and six were reported on Oct. 8, Deputy Police Tod Kamleiter said. At least one burglary was reported in Homewood. 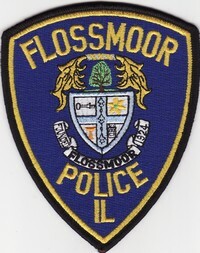 Flossmoor Village Board members Tuesday approved the purchase of three Ford Interceptor utility vehicles for two municipal departments. Two of the vehicles will be police cars and the third will be used by Flossmoor’s Public Works Department. All three vehicles will be purchased through the Suburban Purchasing Cooperative (SPC) and from its local vendor, Currie Motors in Frankfort. An Indiana man is facing two felony charges following a late night shooting in downtown Flossmoor on Aug. 22, police said. Bryan Oedzes, 44, of the 1200 block of Killarney Drive in Dyer, Ind., was charged Monday with aggravated discharge of a weapon and a hate crime, Deputy Chief Tod Kamleiter said. Police are searching for the killer of 20-year-old Flossmoor man who was shot a block from his home Tuesday night. Damarcus Roberts died at about 10 a.m. Wednesday at Advocate Christ Medical Center in Oak Lawn, Flossmoor Deputy Police Chief Tod Kamleiter said. The case is being considered a homicide and will be investigated by the South Suburban Major Crimes Task Force, Kamleiter said. The Illinois State Police processed the crime scene, he said. A Flossmoor man was hospitalized Tuesday after being shot in the back near his house. According to a Flossmoor ECOP posting, the 20-year-old man was discovered inside his house in the 3900 block of 189th Street. The incident was reported at about 10:50 p.m. on Aug. 23. Two area men have been charged with felony retail theft after allegedly stealing a Playstation 4 game system from the Flossmoor Meijer superstore. Aaron J. Catledge, 20, of the 200 block of Rose Court in Glenwood and Laquan R. Kimble, 18, of the 17900 block of Huntleigh Court in Country Club Hills were arrested and charged on Aug. 3, said Flossmoor Police Sgt. James Hundley. The theft is considered a felony because of the value of the stolen merchandise, he said. The active shooter drill at James Hart School on Thursday, July 28, was over in about two hours, but local emergency responders packed a lot of training into that brief time. Flossmoor police are investigating a July 7 armed robbery in which a pizza deliveryman was held up at gunpoint outside a vacant home.